When you’re trying to sell good or services online, what’s the perfect length of an email to your customers? If you fill your email with dense paragraphs, you risk boring your subscribers. They’ll delete your email without reading it—or even worse, send it to the spam folder. Write too little, and you deprive your customers of context that could be crucial to driving them to a sale. In this article, we’ll walk you through it and give you some actionable tips that can help you juice your e-commerce strategy. Here’s a good rule of thumb: don’t start with the body of your email. Before you get into writing copy, tackle the subject line. The subject line is the most critical part of your email to get right. It’s what makes or breaks a good email. You have a limited amount of space to convince people to open up the email—don’t waste it. While the content of the subject line matters, the length isn’t actually all that important. In a study of over 12 billion emails, MailChimp discovered that there’s an insignificant correlation between the length of a subject line and the open rate. That means that it’s far more important to focus on what you say rather than how long it takes you to say it. That being said, rely on common sense. Don’t make your subject line so long that it takes up more than one line on a mobile phone. That’s important because the lion’s share of emails are actually opened on mobile, so it’s important to keep the subject line concise and easily readable on a small screen. That comes out to around 50 characters. If you want to learn more about how to write a killer subject line, check out this full guide. The email productivity tool Boomerang crunched the data around over 40 million emails. They found that there’s a clear correlation between word count and rate of response. In short, people respond the most often to concise emails. The ideal target you should be aiming for is between 50-125 words. Write fewer than 50 words and you decrease the likelihood that people will want to respond. 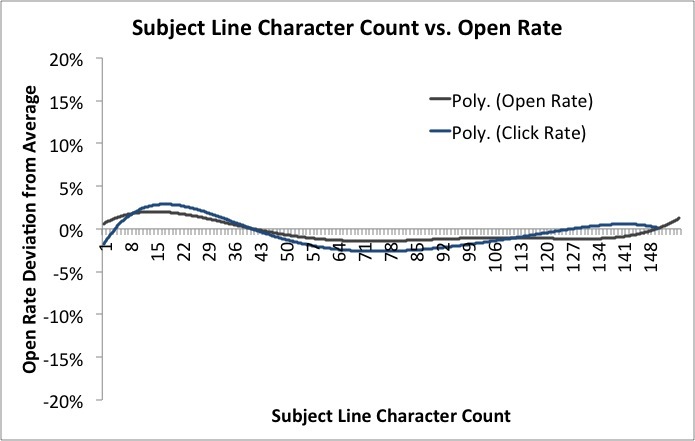 The curve is less steep for emails of up to 200 words—you can write them without seeing as much of a drop-off. That being said, 200 words still doesn’t give you all that much space to work with. That means you have to ruthlessly eliminate any words that aren’t necessary for a reader to get to your point. If you don’t have a lot to get across, be as brief as possible. The data clearly shows that people respond more frequently to shorter emails. Bear in mind that this data applies mostly to responses. 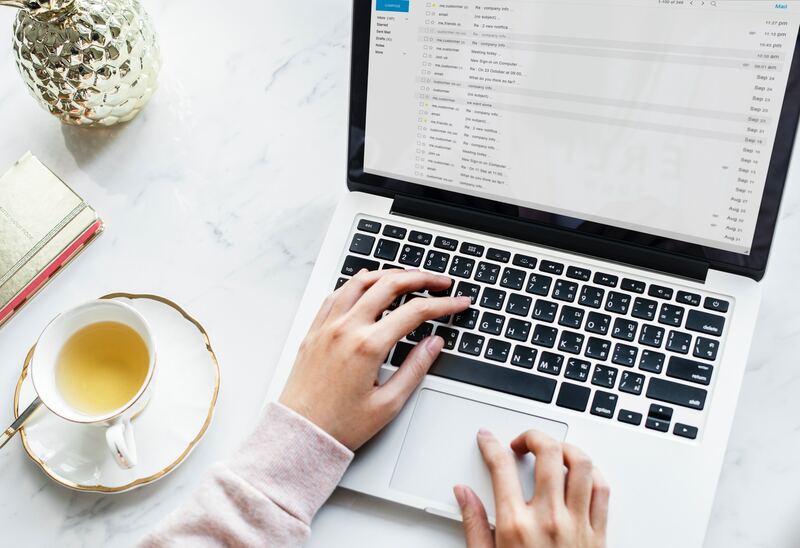 While getting responses to your email is well and fine, that’s not always your goal—especially with an e-commerce email. What’s often more important is how often people click the links in your emails—which is measured by your CTR rates. MarketingExperiments found that 95-word emails generate the highest CTR rates. Add another 75 words and the CTR rate drops by 5%. Another study, from email marketing software company Constant Contact, found that the perfect length of an email is 20 lines of text. 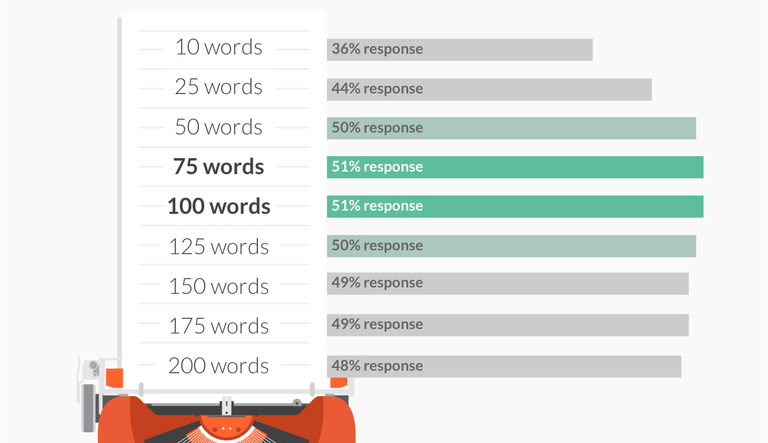 That translates to around 150-200 words in a standard-sized email—right in line with the length from the response rate data. Less text is better and produces higher-converting email campaigns. Simply writing more words won’t boost your email performance. That being said, rules were made to be broken. You don’t need to stick to hard and fast limits when writing your email copy. The most important thing is to engage your users by providing real value with each email. Mapping out your buyer personas will help you write better, more targeted emails. If you’re trying to sell a high-priced product to a segment of your list that’s highly engaged with your brand, it’s likely that you can get away with longer copy. But if you’re running a two-day promotion and blasting it to your entire list, keep things clear and concise. The most important thing to remember with email marketing is that you should aim to give customers the information they need to make a decision and take an action. Images are a key part of any great email. This is especially the case for e-commerce for a very simple reason: when you’re selling something over the internet, people want to see it before they buy it. A whopping 93 percent of people say that pictures are one of the key factors that drive a decision to buy something. It’s also easier for the human brain to process pictures compared to text. A striking image can help cover a lot of information, which means that you need less text. Most e-commerce email campaigns use fewer than six images per email. While you might be tempted to stuff your emails with even more photos, this can detract from the customer experience. The email load time will increase, and customers might not wait to scroll through each image or click through to your website. A good rule of thumb is to constrain images to 30% of the total space taken up by the email. That helps you avoid clutter and needlessly crowding your email. Remember that some people won’t see the images because they’ve turned them off in their email client. That means that emails need to be functional even without images. The moment you open this email, you know exactly who sent it, what they’re offering, and how you can take action. The branding up top is clear, the offer is explained clearly and quickly, and the action is displayed prominently and repeated twice. The minimal, supporting copy explains how Harry’s “Shave Plan” works. 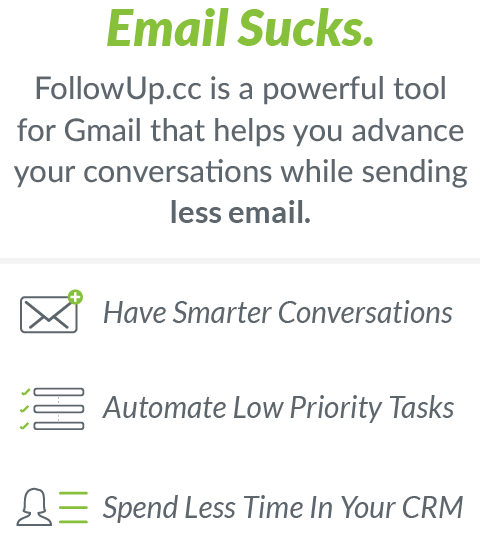 They include two calls-to-action—one at the beginning and one at the end—so that if you read to the bottom of the email, you don’t have to scroll back up to click through. Best of all, all this information is conveyed in fewer than 100 words! The core “lede” (main hook) of the Harry’s email is contained within the very top: “We’re ready when you are. And you can try Harry’s for free when you subscribe to a Shave Plan. Just pay shipping.” Within three sentences, Harry’s communicates the offer and how much it will cost—the rest of the email simply provides more details. If you bury the “lede” in a ton of supporting text, chances are that your readers won’t get to it. Instead, hook your readers in from the top and convey the value that you’re offering in as few words as possible. Hitting the sweet spot when it comes to email length can have a dramatic effect on your email campaign’s ROI. Emails that are too short don’t provide readers with enough context to take a decisive action. Lengthy, wordy emails will bore your readers, who will quickly switch their attention onto something else. Remember that there isn’t any one hard and fast rule to email length. The most important thing you can do is to test your different emails and dig into the data. This is a guest post from Beka Rice, head of product at Jilt. Jilt helps e-commerce stores send effective automated lifecycle emails and boost revenue by better communicating with customers. For more helpful tips on e-commerce marketing, check out the Jilt blog.